Find your niche, It is not about rocket science or special luck. I have written this Article, where i picked out 2 ordinary persons. One from the web savvy millennials generation in India. The other one is a Baby boomer from USA..
Can others learn from their internet successes? 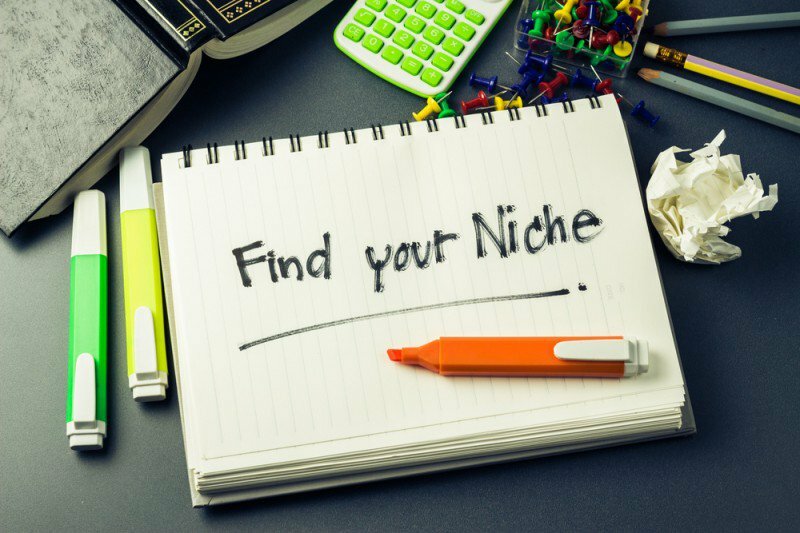 Find Your Niche Is Not Based on Luck or Rocket Science. MidlifersWebBusiness.com Gives You Free Tips and Guidance..
Find your niche and starting a small Business. Or clarify the purpose with your existing small Business.. I believe most people are much closer to find a niche than they can imagine. But instead people spinning around, struggling, making endless searches and worries so much that in the end they stop believing in find a Business idea..
A niche does not exist automatically by themselves, it is something you can create with your unique services or your products. Can you identify and fill a need or an desire, by offering your products or services that meet the demand, then you have found your niche. Because i believe, no matter how hard big brands try, no large retailer can fix everything to all people. There are always going to be needs for products or services. That are leaving room for the small local Business to succeed, by meeting those needs. No matter what industry you're thinking about. The best way to find your niche, is to build your small Business on something that interests you very much. This is definitely my very best advice, and in my example below, you will se how important an interest is to become successful. Clarifies the purpose of your Business, Why your Business exist, should always comes first and be highlighted. There are so many fantastic examples of small Businesses, that growed up based on the owners big interest and clearly purpose with their Business, products and services. It doesn't matter what the Business's size is, the industry, your country, super local or global, offline "brick and mortar" or web-based only... Globally, it is estimated today there is about 200 million small local Businesses, more than 50% of these lack completely, or have a very poor internet presence. Local SEO, learn how to fix it Yourself. 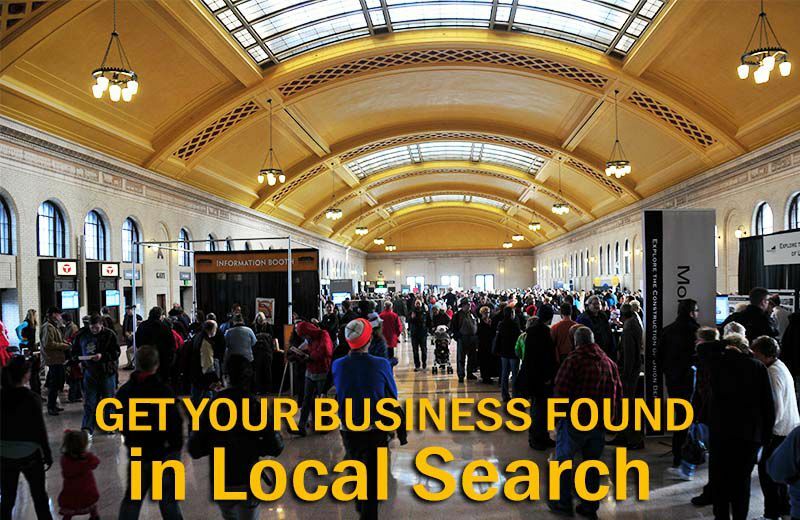 What need you as an small local Business owner, take into consideration? Today all of your potential visitors and customers have much more advanced laptops, computers and smart mobile devices to surfing around with. In just 4 years people have really made a total transformation. And since 2014, local searchs have more than doubled. Today more than 50% of all mobile search, have a local intent. To, run a small local Business, includes today also a proper "4 pillars" internet presence. Do not so easy, give away potential visitors and customers to your competitors, that already have installed a "4 pillars" internet presence. And therefore are much more easy to be found online, of searchers, potential visitors and customers.. Using a Brainstorm tool will help you immensely, to find your niche and Business idea.. But even for those of you who already have several perfect ideas, by using this excellent tool you will futher more, to make multiple testings, fine-tuning and pollisching. When you sitting and sorts amongst your interests and ideas..
Mr. Bergsmas targeted international audience, can since many years find his small web Business at "Google Page 1". His family Business, ranks on one of the Worlds Most Famous Brand Names. There are many examples of successful small businesses. I have chosen to talk about this small business because I tend to look at a lot of informative YouTube Videos when I have a problem, or need a good advice when it comes to my own car. Mr. Bergsma found his niche in the mid 1990s, and started his successful web adventure at his transformed 40 acre dairy farm, for more than 15 years ago. It is based on his own big interest in cars, his mechanical skills and experience.. You can read his own words, at his website. Where he talking about his stunning adventure that started in the early 1970s as a Flight Mechanic and Commercial Airplane Pilot, flying in the rugged eastern highlands of Irian Jaya, Indonesia.. But here today, we are taking a time jump to mid 1990s. When Mr. Kent Bergsma started to provide service, to maintain, to repair, and to refurbish various older Mercedes Benz cars. 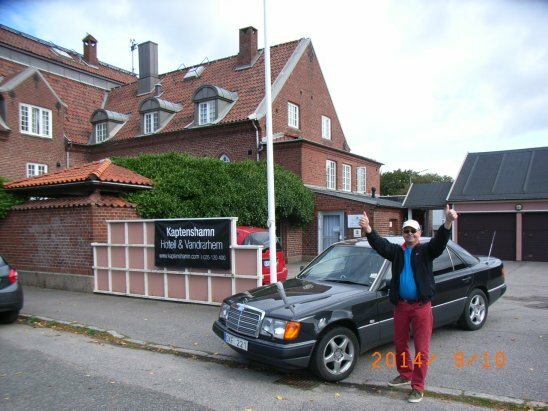 But his small business "at his dairy farm" soon began to change direction when he first time "discovered" eBay in 1999... At this time about 17 years ago, the total number of Mercedes parts on eBay was around 100..
Today 2016, I see that there are more than 1,500,000 Mercedes parts at eBay's listings .. The operations on eBay grew very fast and Kent realize in 2003, that they needed their own website, so Mercedessource.com was Born. Kents Small Web Business Ranked on "Google Page 1". For One of the worlds most famous Brand Names. MidlifersWebBusiness.com Gives Free Guidance, Find Your Niche. From 2003 to 2005 grew his company so much and fast, thanks to the new website, that they decided to stop the repair facility, and instead to 100% become a pure Web based Business... In 2007, the business have grew further and the decision was made to relocate to larger premises. There is no doubt that, Mr. Bergsma has really found his niche, which also have becamed his big passion. By acquiring detailed knowledge and experience of various Mercedes models, he now offering different products, advanced diagnostic guides, written manuals and repair instructions. He also designing and manufacturing specialty kits and tools, and easy to understand information, for people to "doing-it-themselves" on their own Mercedes car. MidlifersWebBusiness.com And The Digital WorkShop With Google... I Can Warmly Recommend You To Combine Those 2 FREE Sources. As Real Professional Help. To Find Your Niche..
Get the digital skills you need to grow your Small Web Business. I Believe this Free Digital Academy course with Google, is excellent complement, to the Free guidance you find here At my website. The Google Digital Garage, is aimed for Beginners, Small Business owners, Employees, Retirees or Students. For those who want to get started, sharpen their digital skills, or kick start your career with an impressive certification. However today in 2016, there is no big technical and financial hurdles for you, to by yourself build and run a small web business. And for you who already have a small "brick and mortar" Business, to establish a real Internet Presence. 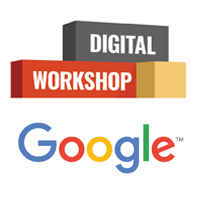 I can Recommend you to take a look at the Google WorkShop Academy, it's FREE. To build a real web business, I Believe it is a big advantage fore you, to looking at many sources. That you step by step can pick out and learn what is relevant for you, for your own small business, in your country. This small family web business, continued to grow and now we come to 2010, which will be the next big breakthrough. Mr. Bergsma's son manages to convince his dad, that set up a YouTube channel has to be an excellent solution to show the target audience, valuable and relevant Videos for instructional purpose, give smart tips and good advice. Over the past 6 years, the company has grown and the number of YouTube Videos have now surpassed 1000. As the number of Videos has become so large, and e Commerce constantly increases, were made in 2013 a restoration and updating of the website, Mercedessource.com Today the website is much more user and mobile friendly, in addition, Hyper Text Transfer Protocol Secure (HTTPS). Mr. Kent Bergsma has with his small family business, build a rock solid authority, when it is about being able to really help his target audience, to solving problems, to give them what they are looking for. That Mr. Bergsma has devoted many hours to build up his small business, since its inception in the late 1990's, when he discovered his niche, there is no doubt. But why spend so many hours? it's not because that we must. I Believe it's because we are really interested our small Businesses, to do what we are doing, we think its very fun, to helping our customers solving their search intent, wishes and needs, on the absolute best possible way. And as an Results out of all this, small Business owners are happens to make a decent income to support our families. As i have said, I strongly Believe to find your niche, you have to begin to explore your interests, make a list, and sort out what interests you the most. To build up a small web business is not a question today about investing a lot of money, or first become a web programmer. On the contrary, with the help of the enormous web-technical development in the last 5 years, and all new business tools, that make it absolutely possible even for the "newest newbie" to build up a small e Business. Of course, we must remember that at the end of the 1990 's, the internet was newborn, there were no smartphones, it was ahead of both YouTube and Facebook and the rest of the "Social media Family". Would Mr. Bergsma's web Business, started today, of course it would go much faster. Because all the above mentioned internet ingredients, that taken more than 10 years of development, now is in place.. But the most important of all is the users, in 2000 it was only 360 million people World wide who were Online. Today in 2016, is it 3.4 billions people "searchers and users" Online. Thanks to different types of smart mobile devices. To be self-employed and find your niche that interests you very much, has today become an essential factor to be able to be heard and be seen in the loud digital noise. Mr. Bergsma is just one example of millions small business owners in different industries that make success because they see a need for something that also interests them very much. If you choose a niche that don't interest you, other than that, make money. Dont start, just forget it, you will never be able to make success.. As i have said, always start with asking your self, what is the purpose, why will you start your small business? And by Why i dont mean to making Money or profit, because that is a results and will Always be a Result.. Many have find their niche as a vlogger. By coincidence, when I did Google searches about Bombay's traffic, I found Nikhil Sharma, who lives in Bombay in India. A young man who has really found its Niche. You can see and hear, that he loves to drive his motorcycle, at same time filming and talking ..
Vlog and Vlogging has become Poppular, especially millennials have become the early adopters, but soon other age groups will also start to Vlogging ..
Vlogging and video marketing is basically the same thing, the only thing you need is a smartphone and an Internet connection. Then you can do a 60 second movie where you tell about yourself, what is the purpose of your Small Businesses, why you do what you do, why you offer your products or services. Obviously, small digital film cameras and other equipment, is today very simple to use and inexpensive. It is also one of the main reasons why Vlogging and Video marketing is increasing so much ..
Nikhil from Bombay has over 110,000 subscribers and over 16,000,000 million views. But he is a ordinary young man from Bombay in India, who happen to find his niche, based on his big interest ... Create a blog and start Vlogging. You can see more Article about Nikhils Vlog adventure, and at my Facebook site.. 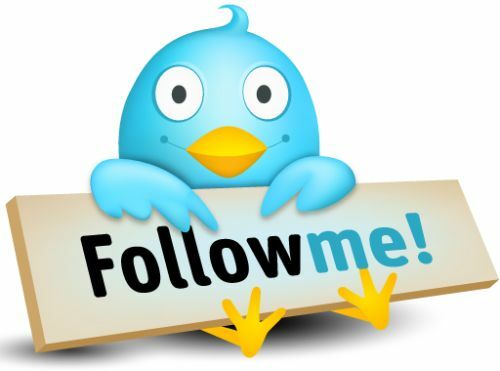 Above i have already mention, Why is it necessary for all small Businesses, to having a proper internet presence? Simply because of the huge numbers of internet users, and that it will help Google tremendously to suggest your Business to all searchers, your potential visitors and customers. Become a problem solver, overfill your sites with your unique and "home made" content. That type of content that can solving your target audience, search intent. What can you learn from this example with Mr. Bergsma? Well .. first of all that find your niche, is not about rocket science. As I have said, to find your niche, you'll start to look at what you're interested in, sort out what interests you most and check that it has sufficient demand, but not too much competition. That there are other Businesses within your chosen niche, don't worry so much about that, it is quite ok. Nobody can copy your personality, your unique written voice, your unique way of running your business. Because that you think it's super fun to run your unique small business, you know this will also your visitors and customers very quickly to note. What makes Mr. Bergsma so special? It is his own personality, his way to help their target audience, by over delivering, his valuable, relevant and "handmade" content. This makes his content will stands out, above their competitors.. 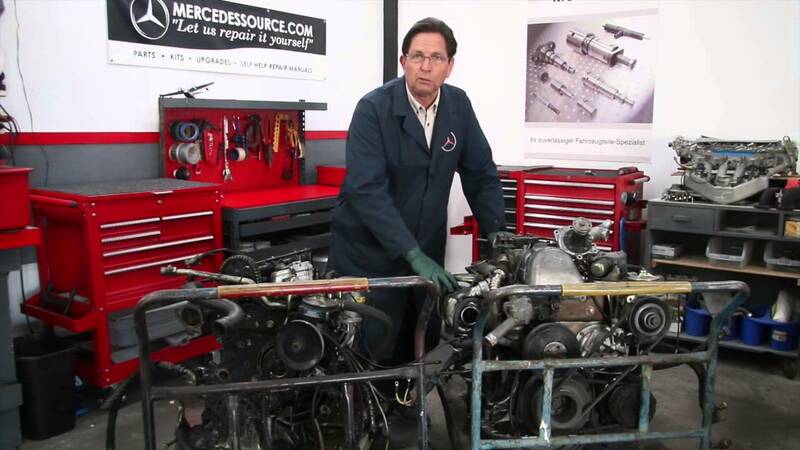 Exactly what Mr. Bergsma makes in his YouTube videos, for example he shows how to replace the spark plugs, what tools to use and why. You can feel and hear that it is not just an actor who just reading from a script, without being particularly personally interested, other than in the salary, or have relevant background knowledge and experience..
As i said, finding your niche market. Always start looking among something, a product or service, that interest you. To having a strong interest means that you think it's super fun, you really believe in your niche and small business. You will not see it "as a work", you are so on fire and enthusiastic that you some time can forget time and space, and your passion is growing, as a natural result. You can be absolutely sure that your users, your customers very quickly will notice this.. People will be talking about and referring to you and your business name during their ordinary conversations with colleagues, family, friends and on social media. This is also called "snowball effect". find out why over 22 million people already have seen the videos and read his books.. Despite that today we live in a digital world, there will always be a human behavior that play a crucial role. Why did you choose your niche, and with "why" I don't mean to make money or make a profit, because that's a result, and will Always be a result. So let's start with Why! What do you mean, you thinking.. Well.. What will the purpose of your small web business be? Let's talking about clear facts. People don't buy what you do or offer, they buy Why you offer a Product or Service..
Why do you think Mr. Bergsmas small family Business, will be found, year after year on "Google page 1" when people with an mercedes car and a issue. Just need to type in "Mercedes Problems" in Google search bar... Voila.. There pops Mr. Bergsma up on the first page, to helping.